Who knew, but how smart?! Mutt Muffs offer hearing protection for our pups. They were created by a Cessna pilot for her dog who accompanies her on flights. She realized the noise of the cockpit must be affecting her dog’s sensitive hearing and that he needed hearing protection just as much as humans. 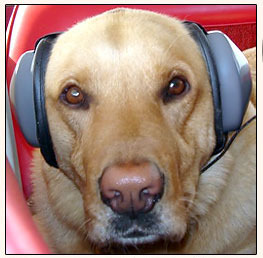 Dogs wearing Mutt Muffs are more alert and happy on flights, where before they “slept” and were probably trying to tune out all the noise. 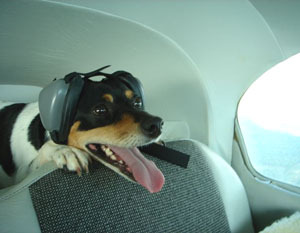 Mutt Muffs have the same high density foam used in pilot’s headsets and they’re designed to be shake-proof, so your dog won’t shake them off. The site says dogs get used to them pretty quickly and they do look like they are designed to fit really well. I don’t know that I’d use them on a dog in the baggage compartment of a commercial flight since they’d be unsupervised. But, I could see them helping with fireworks or ongoing noise like construction, in addition to flights in private planes or in the cabin of commercial flights. GREAT IDEA. IT IS ABOUT TIME. A LOT OF DOGS HAVE GONE DEAF THROUGH NEGLECT BY STUPID PEOPLE. I AM GLAD THERE IS HEARING PROTECTION AT LAST. I agree! I love seeing all these dogs (on their gallery page) being well looked after by their people. 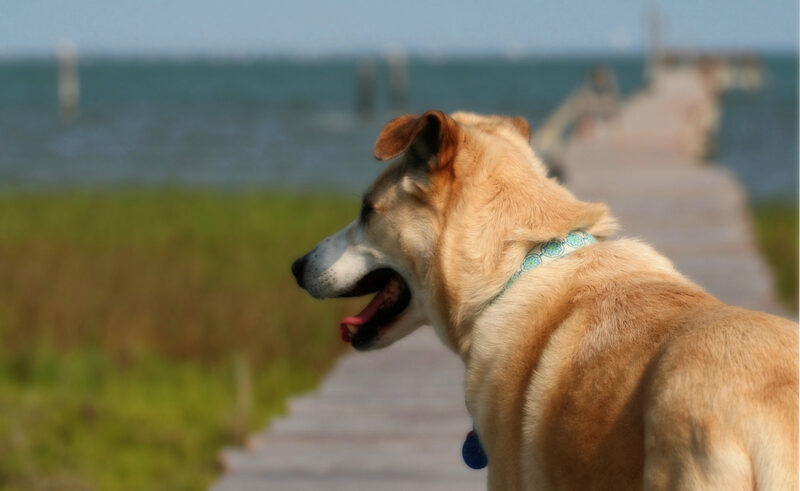 It’s an old post but since it still shows up in google search on the front pages I though I would add, that most dogs aren’t afraid of the thunder in storms, or the howling of the wind, but the static/pressure in the air. So before buying this for a dog who is afraid of storms, make sure it is the noises. An already stressed dog might get even more stressed if he has to wear those just for storms, as he can’t connect them with something good happening like the dogs that went on a airplane. They will be confused at first but the reward will be new ground to explore after they land, like a car drive they connect it as something good. They will be hapyp becaus ether ehuman gets happy in the air as well. But if a storm is scary and you stressfully try to put those one, than probably the dog will get more stressed and scared then without them.